Tierna Davidson highlights additions to the 2019 Red Stars roster. 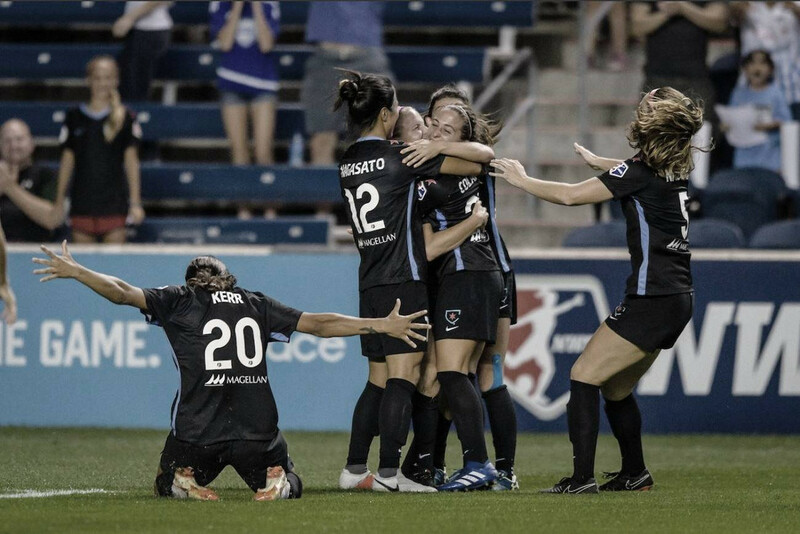 The Chicago Red Stars have released their final roster ahead of the 2019 National Women's Soccer League regular season. The current roster consists of 20 players, but that leaves two senior roster spots and four supplemental spots unfilled with just four days before opening weekend. The Chicago Red Stars made a big addition at the 2019 NWSL College Draft when they made Stanford University defender Tierna Davidson the first-overall selection. Davidson has already played 19 games for the United States Women's National Team, so she is one of the best prepared players entering the NWSL this season. The Red Stars hope that Davidson can help them overcome their playoff struggles. Chicago has been bounced from the playoffs in the first round each of the last four seasons. Of the 20 players on the roster, 16 of them were members of the team in 2018. USWNT midfielder Julie Ertz captains the team, and she is joined by Alyssa Naeher, Emily Boyd, Brooke Elby, Sarah Gordon, Katie Naughton, Casey Short, Arin Wright (formerly Gilliland), Morgan Brian, Danielle Colaprico, Vanessa DiBernardo, Alyssa Mautz, Nikki Stanton, Michele Vasconcelos, Sam Kerr and Yuki Nagasato in returning to Chicago for the 2019 season. The depth of every NWSL team will be tested this season with the best players across the league set to participate in the 2019 FIFA Women's World Cup in France. The tournament takes place from June 7th to July 7th, but realistically the participating players are expected to miss multiple months in preparation for the tournament. Chicago projects to have five players missing due to national team duty. The biggest losses will be from Naeher, Ertz, and Kerr. Naeher is the starting goalkeeper for the USWNT, but Emily Boyd has been the backup in Chicago for two years now and should be up to the task. Even with a good backup, it's always going to be hard losing and international-caliber goalkeeper. While not ideal, the Chicago midfield is certainly strong enough to manage without Ertz. Rookie Maria Sanchez impressed during pre-season to win a spot on the roster, but she will still struggle to find playing with in Chicago's talented midfield. When the bulk of international players are gone, Chicago will live or die by their midfield performance. Australian superstar Sam Kerr will be Chicago's biggest loss. Kerr was traded from Sky Blue FC to Chicago before the 2018 season, and she went on to win the NWSL Golden Boot for the second consecutive season. Kerr has scored more goals than any other player in NWSL history, and her absence will be hard to overcome. Chicago is hoping that newly-acquired Katie Johnson can fill in for some of Kerr's missing production, but with just three forwards on the roster, head coach Rory Dames will need to get creative.